Prof. Dipl.Ing. Dr. Josef Eitzinger. the Institute, he leads the Working Group “Agrometeorology” beside teaching and administrative work. In 2003 he received habilitation for professor of Agrometeorology at the Institut of Meteorology (BOKU-Met). Since 2015 he is head of the Institute. Amongst others he was/is a member of WMO RA VI Commission for Agrometeorology (CAgM) Expert Teams, e.g on “Impact of Climate Change Variability on Medium to Long Range Predictions for Agriculture” and “Drought”. He was national delegate of past COST 718, COST 734 actions and COST action “Assessment of EUROpean AGRIculture WATer use and trade under climate change” (EURO AGRIWAT). He has a high number of international publications: 67 SCI original publications, 156 conference contributions, 1725 citations and h-index 25 (source: Scopus, status 2018). Public relation activities at national level and active teaching and supervising students (including PhD) are in his focus. He (co)supervised 28 MSc and 10 PhD theses. 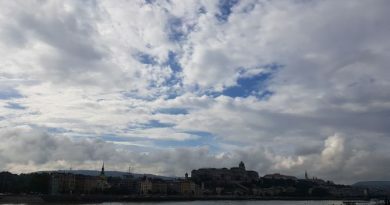 He received his PhD in Meteorology in 1996 and PhD in Habilitation (Venia Docendi) in Meteorology at University of Natural Resources and Life Sciences (BOKU), Vienna, Austria in 2001. Now he is Associate Professor of Solar Radiation and Biosphere at BOKU. He has been working in the domain of applied meteorology and mainly radiation since 1988. He participated in and was leader of several research projects. He was national delegate in COST 730, COST 726 and COST ES0903 Actions and was awarded Verleihung des Titels “Honorary professor” durch die Szent Istvan Universität, Gödöllö in 2009. Also he is a member of Internationals solar energy society, GEO/GEOSS, Austrian society for light technique, Austrian Meteorological Society, French meteorogical society and American Geophysical Union. He has 646 citations and h-index 15 (source: Scopus). He was supervisor at 12 MSc and 8 PhD theses. He is PhD in Habilitation in agricultural sciences at University of Natural Resources and Life Sciences, Vienna, Austria (BOKU) and currently University professor at BOKU. His research topics are related to local climatology, interactions of various surface structures with the adjacent atmospheric layer, environmental meteorology, development of meteorological instruments (i.e. methods of remote sensing), air pollution modelling and urban climatology. He is a field specialist of the Austriasn Standart Institut. In his carrier he participated in 35 scientific projects, 3 of them are ongoing. He was supervisor of 3 PhD thesis in the field of urban meteorology and climatology. He has 129 citations and h-index 7 (source: Scopus). He is a member of the Agrometeorology group from the Institute of Meteorology, University of Natural Resources and Life Sciences, Vienna, Austria (BOKU). His areas of expertise are remote sensing in agricultural hydrology and agrometeorology. Further he is an expert for modelling in the fields of hydrology (water balances) and agriculture (crop growth) using manifold sources of field measurement and meteorological data. In his career he had participated in 8 scientific projects, 1 of them is ongoing. He has 54 citations and h-index 2 (source: Scopus). 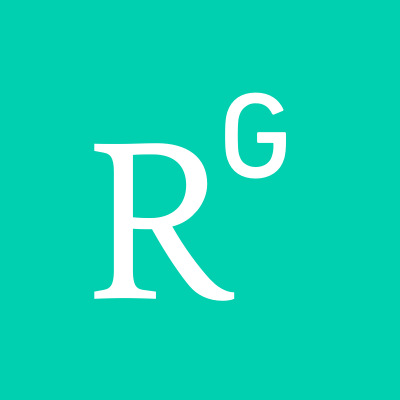 Project coordinator Assoc. Prof. Dr. Lalić received her PhD in 2007 at the University of Novi Sad, Center for Meteorology and Environmental Modelling (ACIMSI), Novi Sad, Serbia. 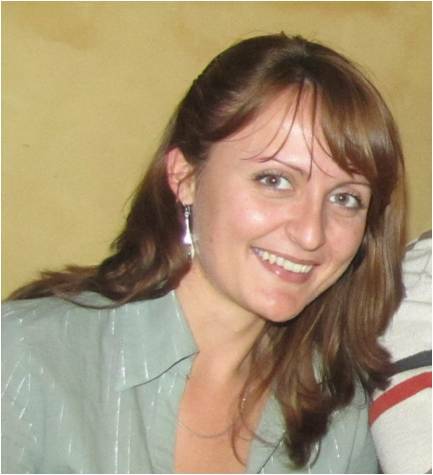 She is a member of Meteorology group at the Faculty of Agriculture, University of Novi Sad (PFNS) since 1999. Now she is assistant Professor of Meteorology and Biophysics at PFNS, Department of Field and Vegetable Crops and researcher and teacher at Faculty of Science, Department of Physics, Group for Meteorology. Her main research fields are agrometeorology, agrometeorological modelling, predicting the occurrence of plant diseases in agriculture, modelling of forest – atmosphere interaction, land-atmosphere processes (theory and modeling), boundary layer meteorology (theory and modeling), biometeorogical modelling, micrometeorology and crop modelling. Among other she is invited expert of WMO RA VI Working Group on climate and hydrology, Climate expert group, Task Team: Agrometeorology and member of Serbian Meteorological Society and European Meteorological Society. She has received Fulbright Visiting Scholar for State University of New York (SUNY), University at Albany, Atmospheric Sciences Research Center, Albany, New York, USA. – 2013/2014. She has 31 papers in international peer-reviewed journals and 42 reports at the international conferences, 233 citations and h-index 9 (source: Scopus), participated in 5 national and 4 international research projects, and was supervisor of 4 MSc thesis, 2 PhD candidates. Ivana Maksimović received her PhD in Science, Biological mention (plant molecular biology), from the University of Geneva, Switzerland, in 1995. Since 1996 she has been employed by University of Novi Sad, Faculty of Agriculture, where she teaches Plant physiology and nutrition. She is full professor since 2007. Her main research is focused on plant tolerance to abiotic stress, especially nutritional, heavy metal, salt and drought stress. She is Editor in Chief of the Matica Srpska Journal for Natural Sciences and member of the editorial board of Journal of Plant Breeding and Crop Science and journal Field and Vegetable Crops. She is representative of Serbia to Federation of European Societies of Plant Biology (FESPB) since 2004, member of managing board of the Serbian Society for Plant Physiology and Committee for Sciences of Matica Srpska. She has 25 papers in international peer-reviewed journals, 194 citations and h-index 7 (source: Scopus), participated in 10 national and 6 international research projects, and was supervisor of 7 BSc, 2 MSc and 4 PhD thesis. Branko Ćupina received his PhD in 1997 in Agricultural Sciences (Crop production) at the University of Novi Sad, Faculty of Agriculture. He is a full professor of forage crops and turfgrasses at PFNS, Department of Field and Vegetable Crops. His research is based on forage crop production, cover crops implementation in crop rotation and turfgrasses improvement in temperate region. Currently he is also vice dean for Science and International cooperation. Dušan Petrić is a professor at the Laboratory for Medical and Veterinary Entomology at the Faculty of Agriculture, University of Novi Sad. He has been working on studies of mosquitoes, simulids, peppers and culicides. Prof. Petrić published several scientific papers in high-quality M21 journals (Scopus total number of citations 538, h = 12), co-author of two books (Kluver Academic, Springer) and 1 chapter of the book (Nova Science Publishers). He co-ordinated 2 national and 4 international projects and held 5 lectures by invitation worldwide, participating in VBORNET (European Center for Disease Prevention and Control – ECDC), a member of the VECTORNET consortium (ECDC and the European Food Safety Authority – EFSA). He received his PhD in Agricultural Sciences at Faculty of Agriculture, Department of Field and Vegetable Crops, University of Novi Sad (PFNS), Novi Sad, Serbia in 2012. Now he is employed as Assistant Professor in Field and vegetable crops management at PFNS. His research is focused on field crops, medicinal, aromatic and spice plants and poisonous plants. In scientific research part of his work he was engaged on the experimental fields at the Institute of Field and Vegetable Crops, Novi Sad, Serbia. His main areas of scientific research are: cropping practices and field crops management, fertilization and mineral nutrition of field, the influence of weather and climatic conditions in the modification of mineral nutrition, cultivation of medicinal, aromatic and spice plants. He is a member of of the editorial board of the journal Plant breeding and seed production, Society of Breeders & Seed producers of the Republic of Serbia. He has 11 papers in international peer-reviewed journals and 12 reports at the international conferences, 21 citations and h-index 3 (source: Scopus), and participant on 9 national and 3 international research projects. He is teaching at undergraduate and postgraduate studies and was supervisor of 3 student’s scientific works. 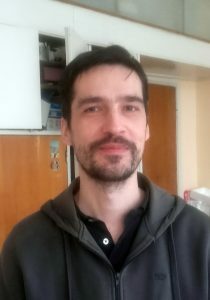 Igor Balaž received his PhD in 2011 at the University of Novi Sad, in the field of modeling complex biological systems and their evolvability. Since 2016 he is working as Assistant Professor at the Faculty of Agriculture, University of Novi Sad. His main research topics are evolvability and robustness of biological systems, innovation in evolution, open-ended evolution, self-organization and artificial life. He has been reviewer in Physica D; Progress in Biophysics and Molecular Biology and Journal of Research in Physics. Currently, (2018-2021) he is the coordinator of the Horizon 2020 project: Evolvable platform for programmable nanoparticle-based cancer therapies (EVO-NANO). He has 14 papers in international peer-reviewed journals, 112 citations and h-index 7 (source: Google Scholar). Marina Putnik-Delić received her PhD in Agronomy (Biotechnology) from the University of Novi Sad, Faculty of Agriculture (PFNS) in 2013. Now she is Assistant professor and researcher at the PFNS. Her research focus is focused on plant tolerance to abiotic stress, especially nutritional, heavy metal, salt and drought stress and phytopathology. She is a member of Federation of European Societies of Plant Biology, Serbian Society for Plant Physiology and Department for Natural Sciences of Matica Srpska. She has 8 papers in international peer-reviewed journals, 22 citations and h-index 2 (source: Scopus); currently she participates in 6 national and 4 international research projects. She received her PhD in Agronomy – scientific field Horticulture, at the University of Novi Sad in 2012. Her employment involved several positions from 2008 (researcher, research assistant) until 2013 when she became assistant professor, which is her current position. Research area she is involved in includes both ornamental and fruit breeding for biotic and abiotic stress factors. Teaching activities include lectures and practical classes at undergraduate, postgraduate and PhD studies in fruit science, horticulture and landscape architecture. She authored and co-authored 21 papers in international peer-reviewed journals and participated in six international and national research projects. She was a supervisor of 2 MSc thesis as well as 2 PhD candidates. She received PhD in Meteorology and Environmental Modelling from the Center for Meteorology and Environmental Modelling (ACIMSI), University of Novi Sad, in 2015. Since 2008 she is intensively involved with PFNS group of Meteorology from the Department of Field and Vegetable Crops. Now she is Research Assistant at Faculty of Sciences, University of Novi Sad (PMF). Her research is based implementation of knowledge from environmental chemistry, land-atmosphere interaction, boundary layer meteorology and micrometeorology into agrometeorology. She is highly involved in teaching at both PFNS and PMF. She has 3 papers in international peer-reviewed journals, 4 chapters in scientific books, and 8 reports at the international conferences; also she has participated in 2 national and 2 international research projects. 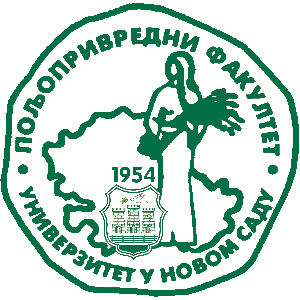 is a PhD at the University of Novi Sad, Faculty of Agriculture. Currently she is a Teaching Assistant at PFNS and her research is based on forage crop production, cover crops implementation in crop rotation and turfgrasses improvement in temperate region. 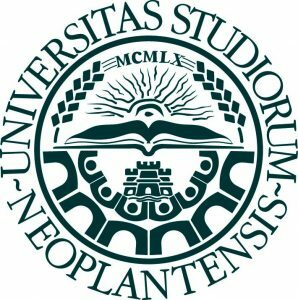 is MSc Engineer of Agriculture since 2015 and currently PhD student of Agronomy and Assistant in Plant physiology and nutrition on Faculty of Agriculture, University of Novi Sad. 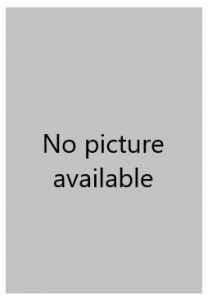 Her research is based on knowledge upon plant ecophysiology and nutrition. He is a full professor of Agronomy at the Department of Agrifood Production and Environmental Sciences of the University of Florence (DISPAA-UNIFI), Italy. He has faculty degree in Agricultural Sciences and PhD in Agrometeorology. Presently, he is Director of the Research Centre for Bioclimatology. His research topics are: agronomy, agrometeorology and agroclimatology and the promotion and development of applications to support agro-environment sector. Particularly the relationships between biotic and abiotic elements of cultural systems have been studied, taking into account the best agronomic management to improve quality and quantity of production, reducing possible impacts of adversities. He is Accademico Ordinario of the Accademia dei Georgofili di Firenze and secretary-Treasurer of the Italian Society of Agronomy and Member of the Directive Council for the period 2012-2015. In his career he has become a member of 5 scientific societies (AIAM, ESA, IBS, INSAM, SIA) and has about 90 papers in international peer-reviewed journals and 350 scientific, technical and didactic papers, 1071 SCI citations, h-index 18 (source: Scopus). He participated in 15 national and 5 international relevant research projects. Now he carries out teaching activity in Agronomy, Agrometeorology, Agroclimatology. He also teaches Agrometeorology and Agroclimatology for the students of the PhD in Agricultural and Environmental Sciences. She is senior researcher at Department of Agrifood Production and Environmental Sciences at University of Florence (DISPAA-UNIFI), Italy. Anna Dalla Marta holds a PhD in Soil Science and Climatology; she works mainly on agrometeorology applications for a sustainable crop and land management through the use of simulation models and the analysis of the relations between climate, crop responses and quality of production. Her research focus is on agronomy and soil management, agricultural meteorology and climatology: modelling of the relations between meteorological variables and crop growth, development, production and quality. She is member of the Italian Society of Agronomy and field editor of the Italian Journal of Agrometeorology. She has 28 papers in international peer-reviewed journals and 18 reports at the international conferences, 386 SCI citations, h-index 12 (source: Scopus); Participant on 23 national and 10 international research projects. 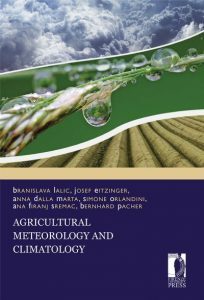 She participated in two COST Action 734 “Impact of Climate Change and Variability on Agriculture” as expert and COST Action ES1106 “Assessment of EUROpean AGRIculture WATer use and trade under climate change” (EURO AGRIWAT) as chair. 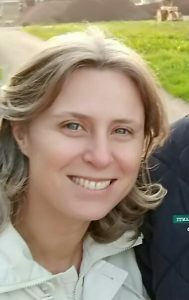 She is a research fellow at the University of Florence (Italy) – Department of Agrifood Production and Environmental Sciences. She graduated in Forestry in 2003 and stared working for the Institute of Biometorology of the National Research Council (2003 to 2007). 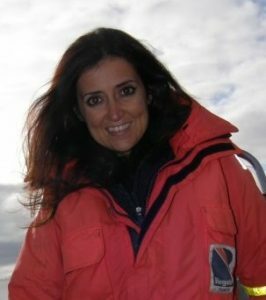 In 2008 she started the collaboration with the University of Florence and specialized in Applied Meteorology. She gives support for the development of various national and international projects relating to: the impact of meteorological parameters on human health, global change impacts on agricultural and forest ecosystems, urban climate and thermal comfort, extreme events and related impacts on the population and on the environment, environmental emergencies (management and prevention). In addition, she collaborated with the organization of workshops and meetings of European and international projects. She is author and co-author of papers in international peer-reviewed journals and participated in several research projects. He is a research fellow at Department of Agrifood Production and Environmental Sciences at University of Florence (DISPAA-UNIFI), Italy. Leonardo Verdi received PhD in 2018 in in Agricultural and Environmental Sciences. His research activities are based on greenhouse gases emissions dynamics from soil-plant-atmosphere system; nutrition dynamics in agricultural systems and precision fertilization; environmental sustainability of agricultural activities, with particular attention to fertilizers management, short supply chains and local agrifood productions; nutrition modelling applied to crop production and quality. He is a member of Italian Association of Agrometeorology (AIAM) and participant on 2 national and 1 international research projects. He have 1 paper in international peer-reviewed journal and 1 chapter in scientific book. 2. 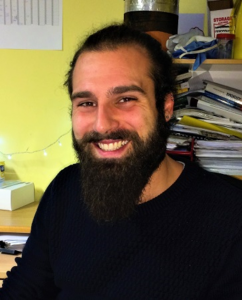 Jorge Alvar-Beltrán is currently a PhD student on Agrifood production and Environmental Sciences at the University of Florence, Italy, with a thesis entitled “Agriculture and climate change in vulnerable countries: the case of Burkina Faso”. In the course of 2018, he has worked as a consultant at the World Meteorological Organization (WMO-UN) on a project entitled “Agro-meteorological information services for end-users in Senegal and Rwanda”. In 2014, he obtains an MSc in Sustainability and Climate Change at the University of Leeds, UK.